These 2 Villas each consist of 2 bedrooms and 2 bathrooms. 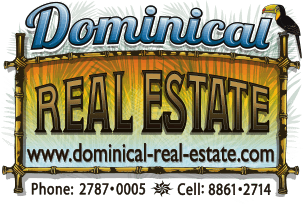 They are located in the gated community of Cascada Azul located 10 min from the town of Dominical and many beautiful beaches. Half of the drive is on a paved road and the other half is on an excellent gravel road. The Villas are brand new and very modern. They are exactly the same with opposite floor plans, both with high end finishings including custom wooden cabinets and a/c. There is a privacy wall seperating the two of them. The owner already has plans drawn up for 2 swimming pools, one for each unit. These villas have great rental history. They have spectacular mountain views and a small ocean view, but big enough to catch the sun setting over the pacific certain months of the year! !